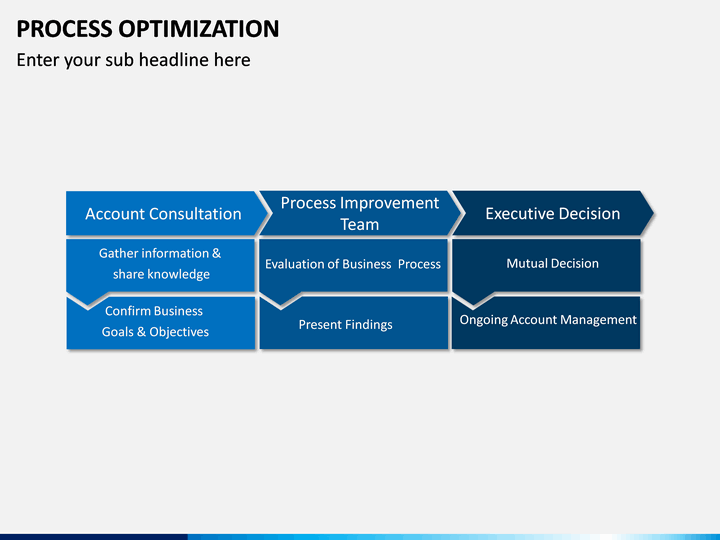 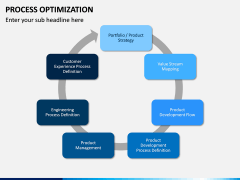 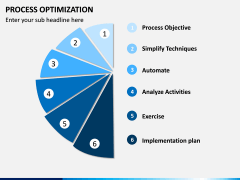 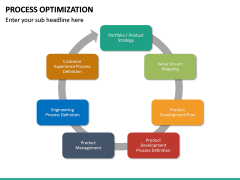 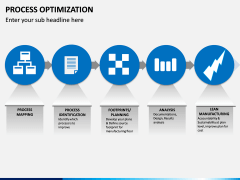 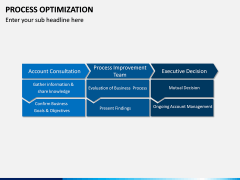 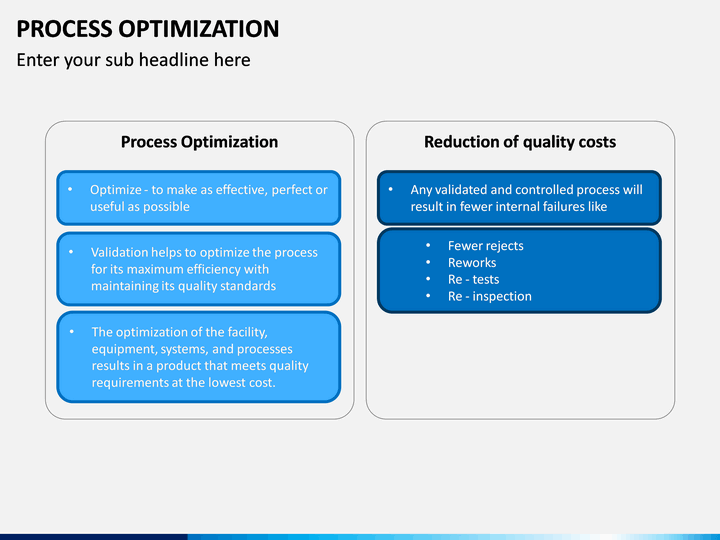 Impress your audience with this entirely editable PowerPoint template on Process Optimization. 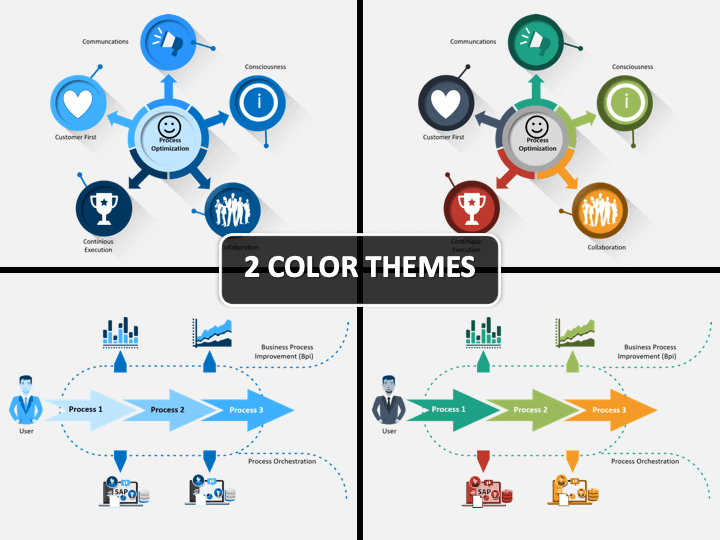 The template features HD vectors and also comes in different color themes. No thanks continue to checkout Process Optimization Template . 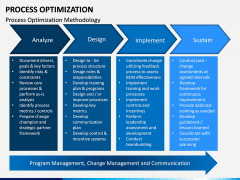 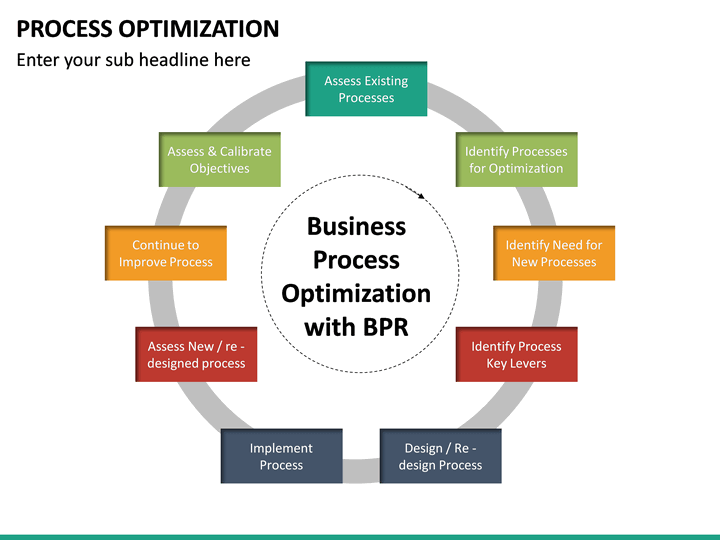 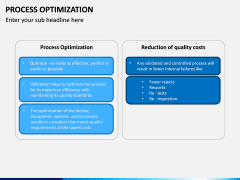 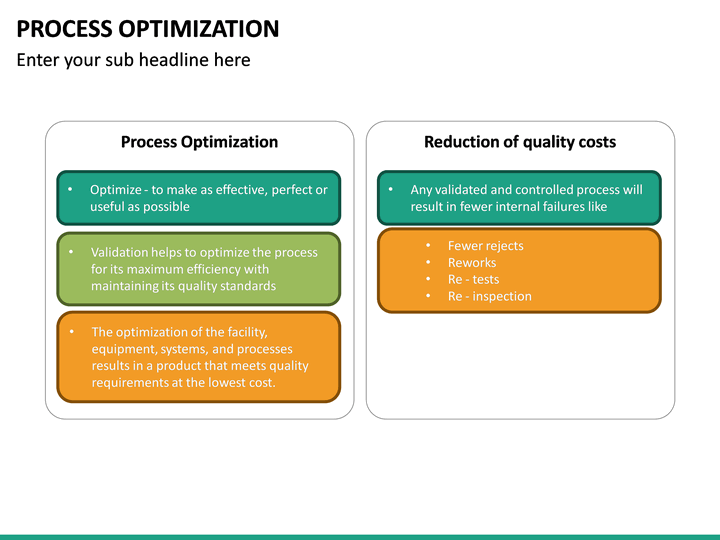 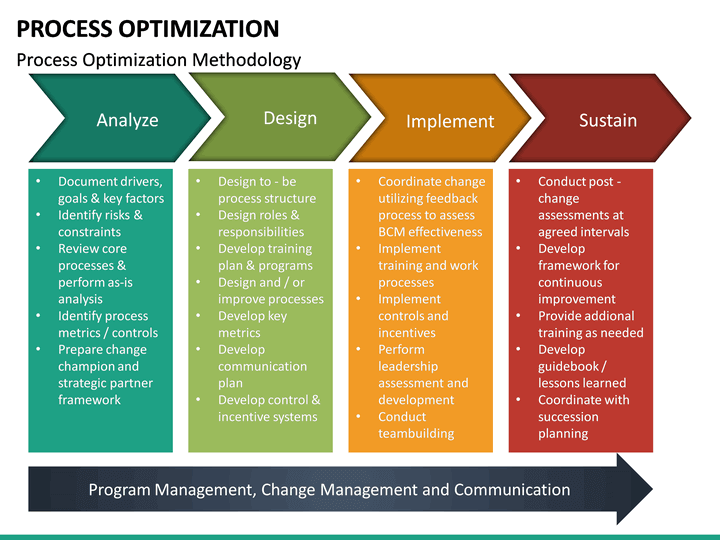 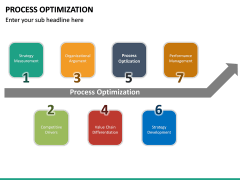 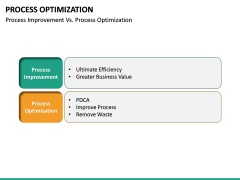 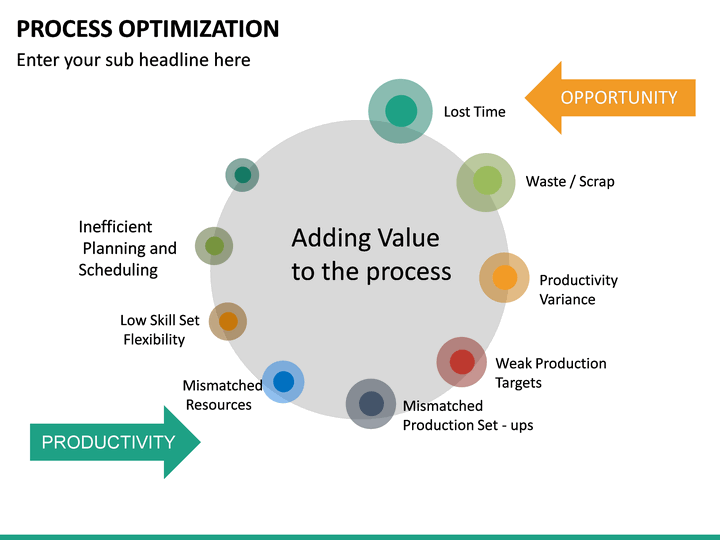 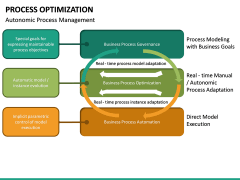 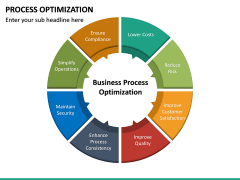 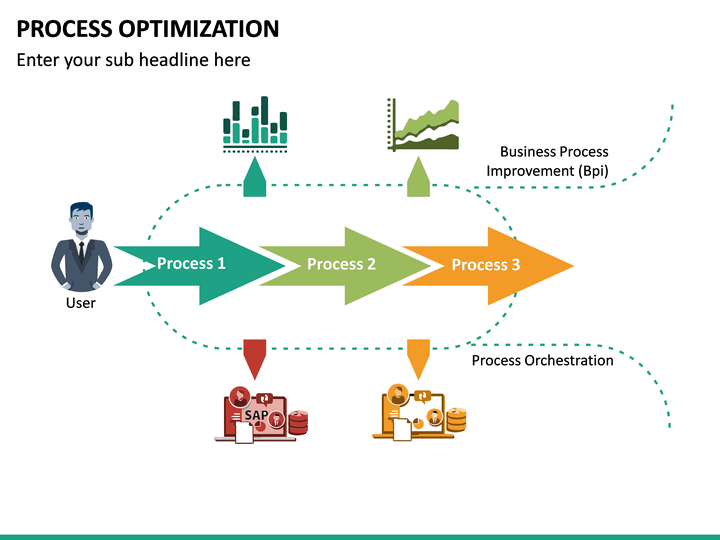 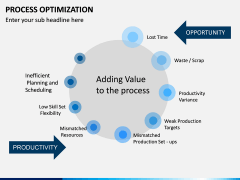 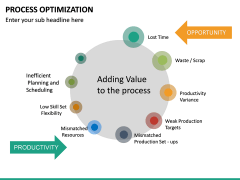 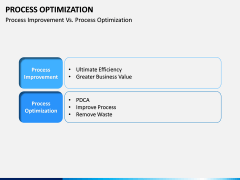 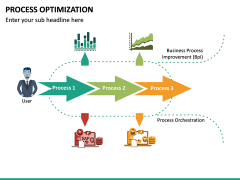 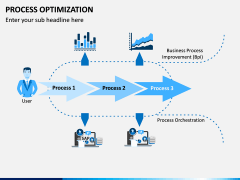 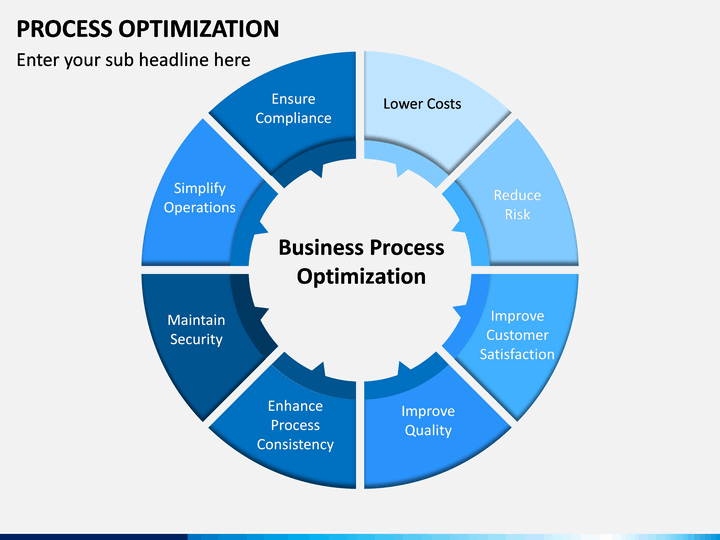 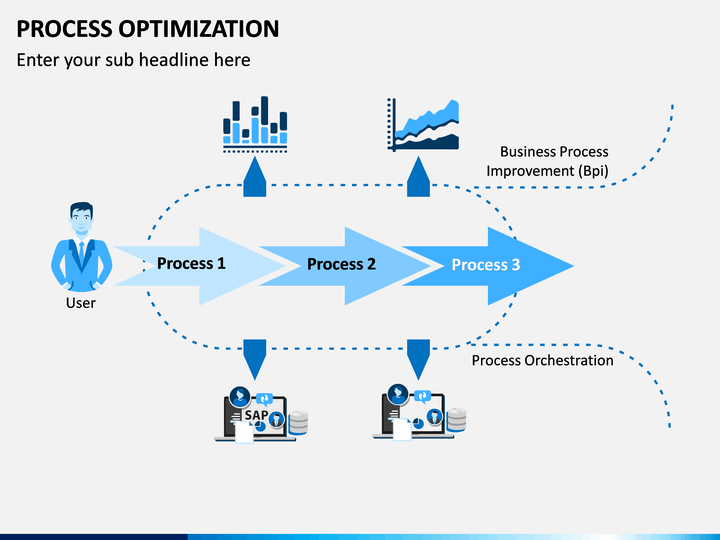 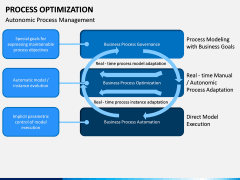 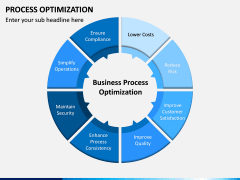 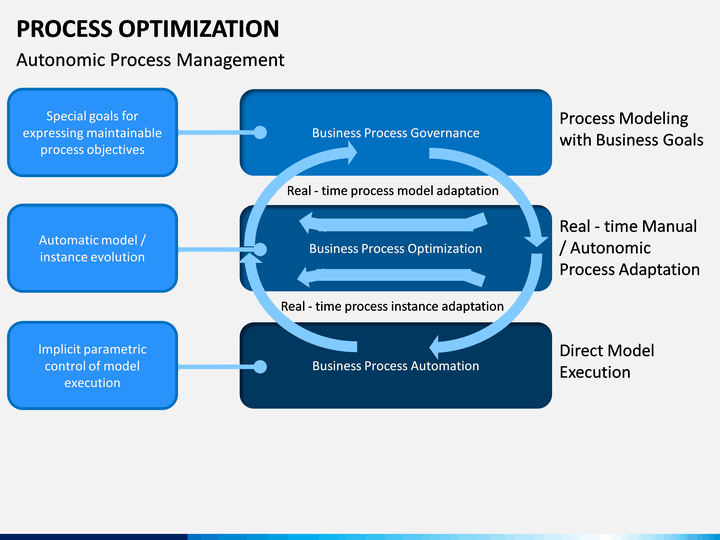 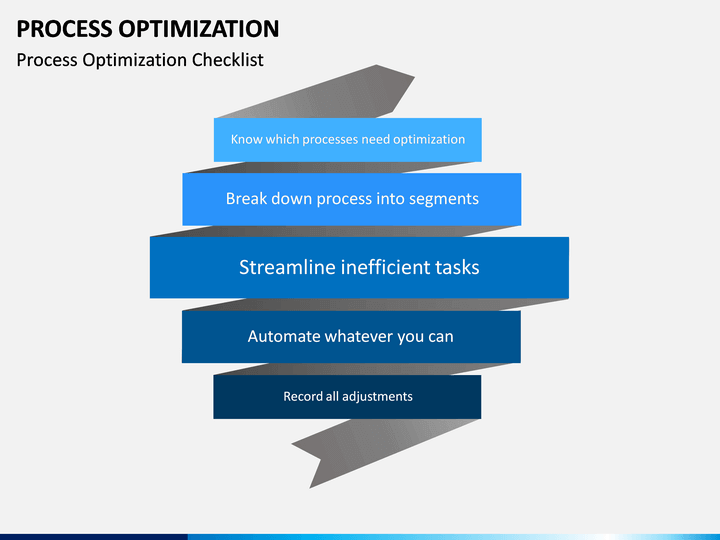 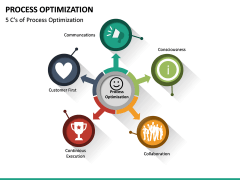 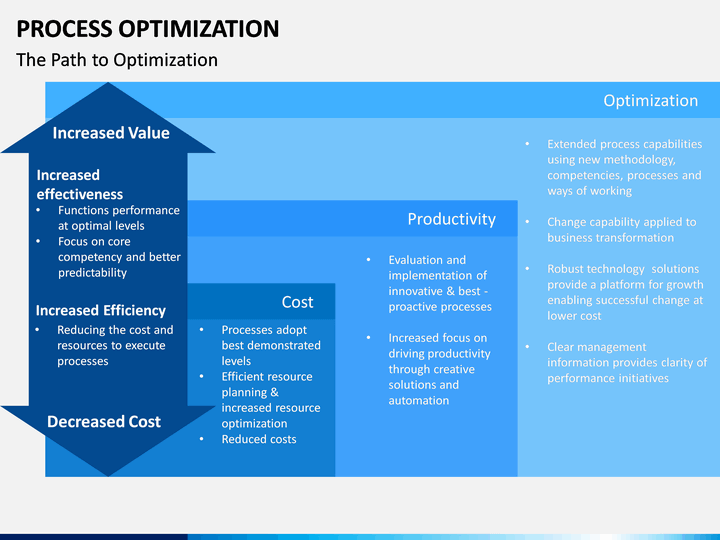 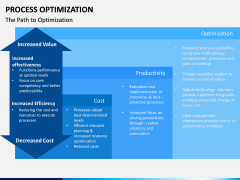 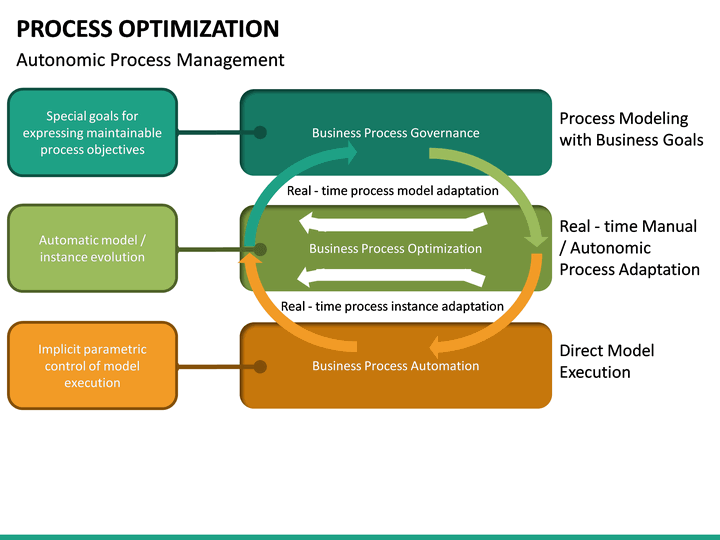 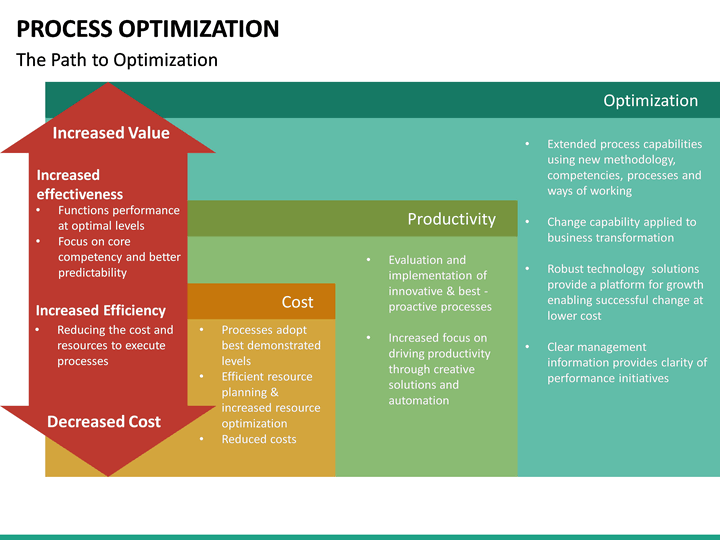 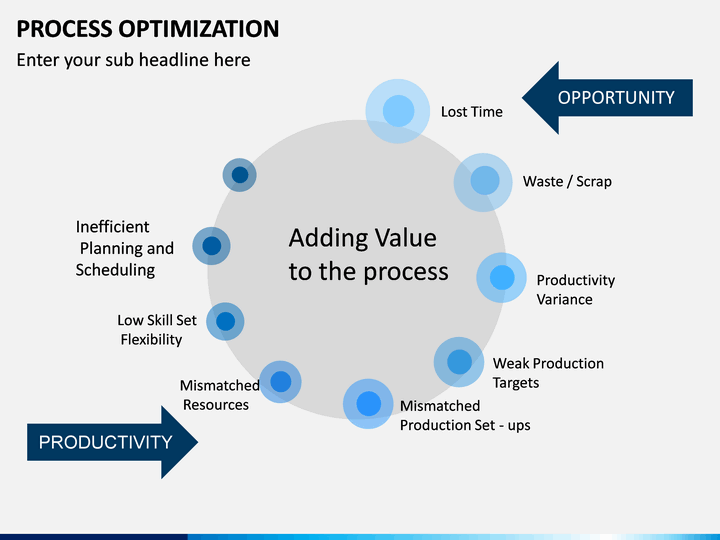 The principle of Process Optimization holds a crucial role in almost every industry. 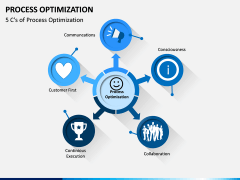 Now, with the help of this professionally drafted PowerPoint template, you can easily educate your audience about the same. 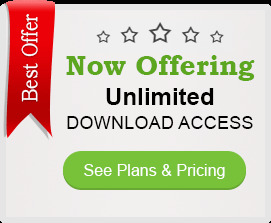 It features several styles of vector-based graphics that will make your job so much easier. 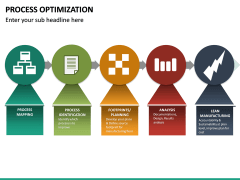 It is an informative set on the topic having the right kinds of visual aids that you can readily use. 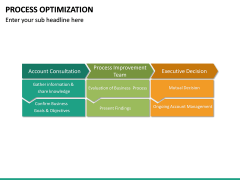 The slides are vector-based and can easily be customized without using any third-party tool. 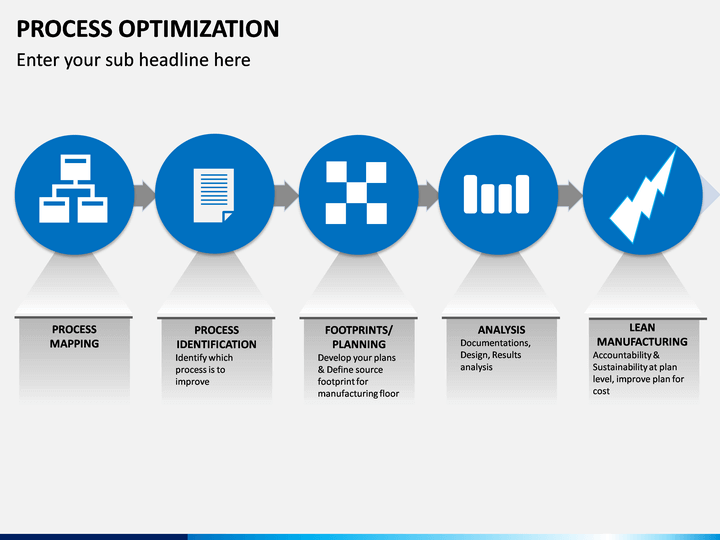 Our designers have come up with an extensive set of illustrations covering the ins and outs of the topic. 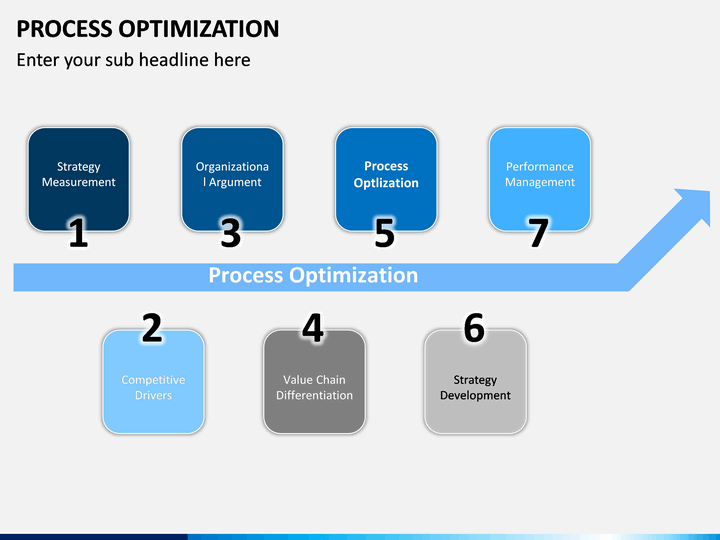 Using these PPT slides, you can explain your audience its basics, the optimization steps, the checklist, its overall methodology, and more. There are dedicated vectors to cover advanced topics like multi-scale modeling, business process optimization, automatic process management, etc. 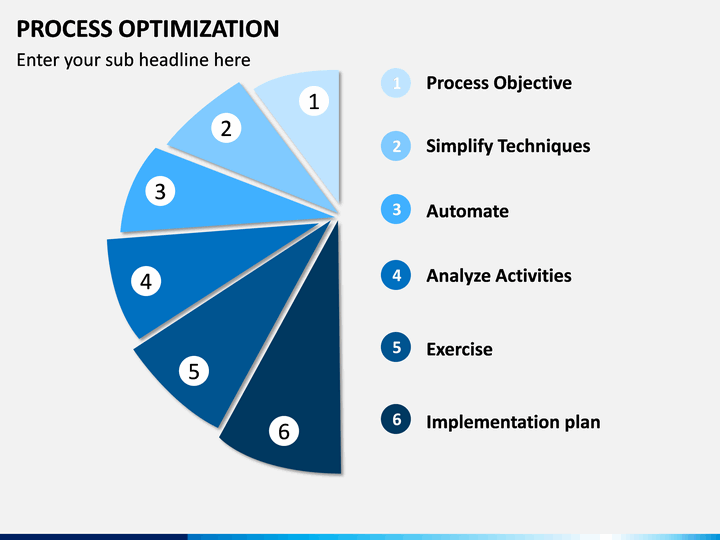 We have drafted block diagrams, flowcharts, pyramid models, and various other kinds of graphics to make the slideshow visually appealing. 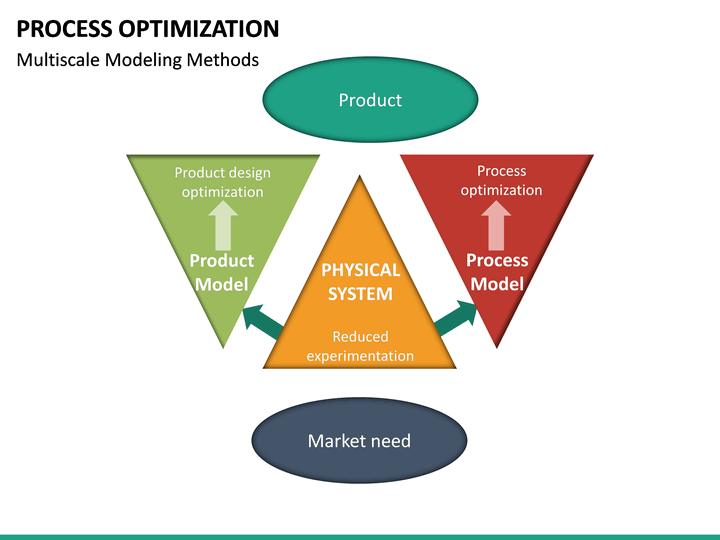 It is a crucial discipline that optimizes the output of a process by altering numerous parameters while considering the needed constraints. 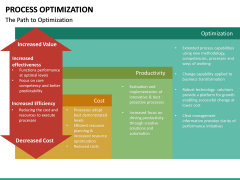 Some quantitative goals are cost reduction, quality improvement, etc. 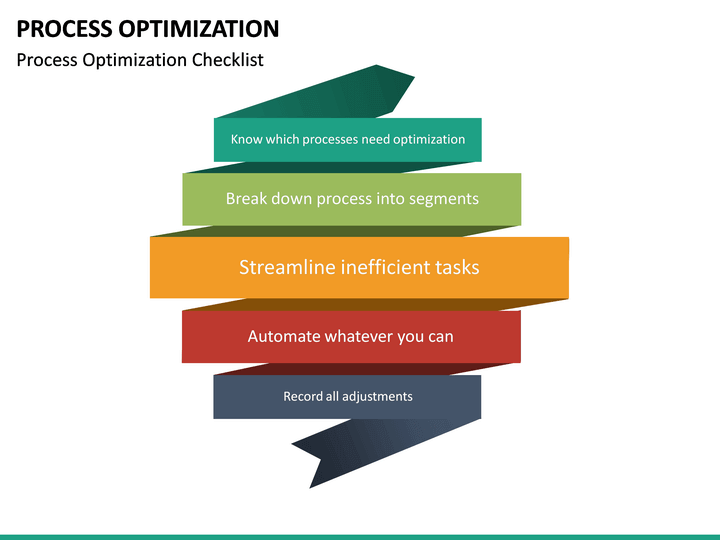 It also includes decision-making steps like which process needs optimization, how to break down the process, what to automate, how to streamline things, and so on. The template would make it easier for educators, trainers, and subject matter experts to make their audience familiar with the topic. 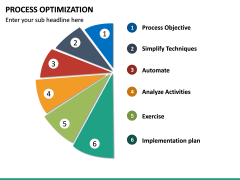 It can also be used by business analysts, project managers, quality analysts, head of departments, strategists, and all the other related professionals. 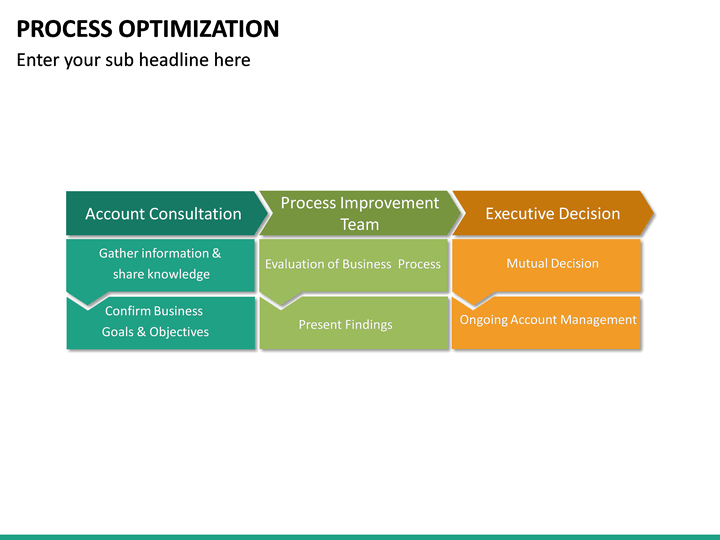 You won’t need any prior designing experience to use the template. 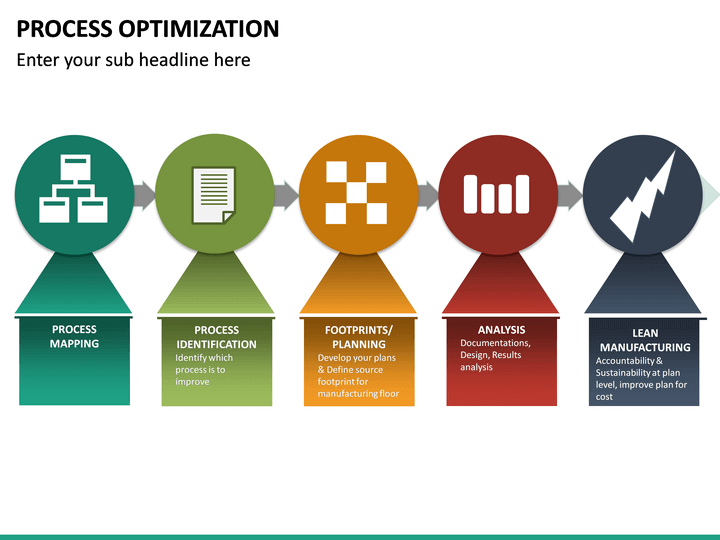 Simply make the needed changes by adding your own content, change its overall layout, and customizing the presentation as per your needs. 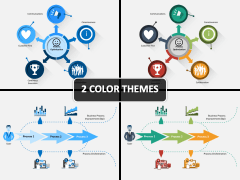 You can pick the color theme of your choice and make fast edits. 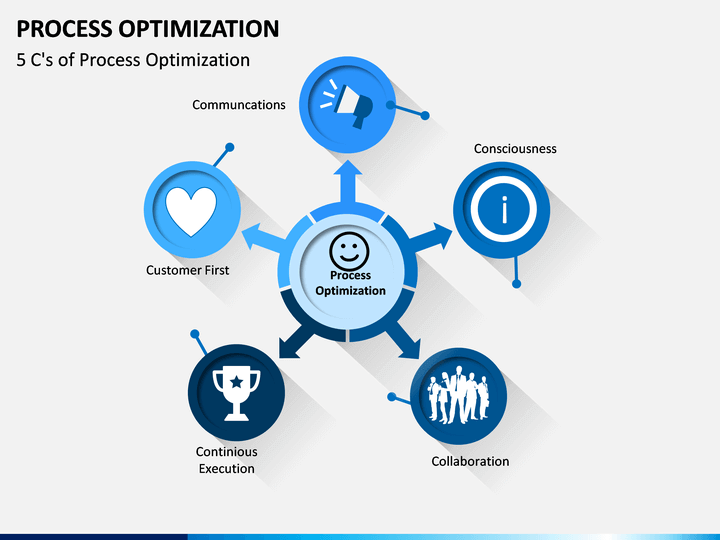 The presentation comes in different themes and with a dedicated customer support so that you can make the most of it in no time.